Well known locally as simply the Erith Fish Roundaabout, this 7.5m high landmark mosaic encrusted sculpture was inspired by the history and heritage of Erith in Kent. 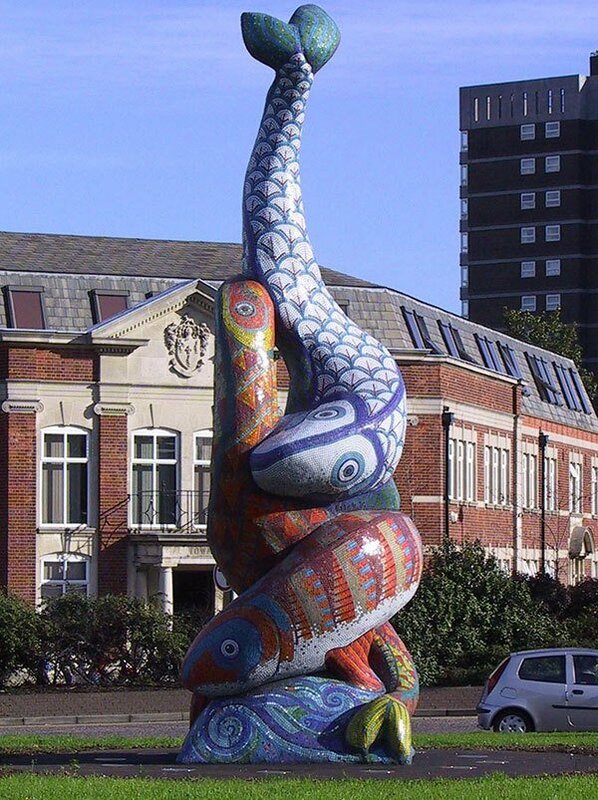 The sculpture sits in the centre of a roundabout on the main road that passes the town and is in the form of three intertwined pike fish decorated in bright glass mosaic patterns. Mosaic Arts International, Miami, USA, Best Architectural Mosaic .